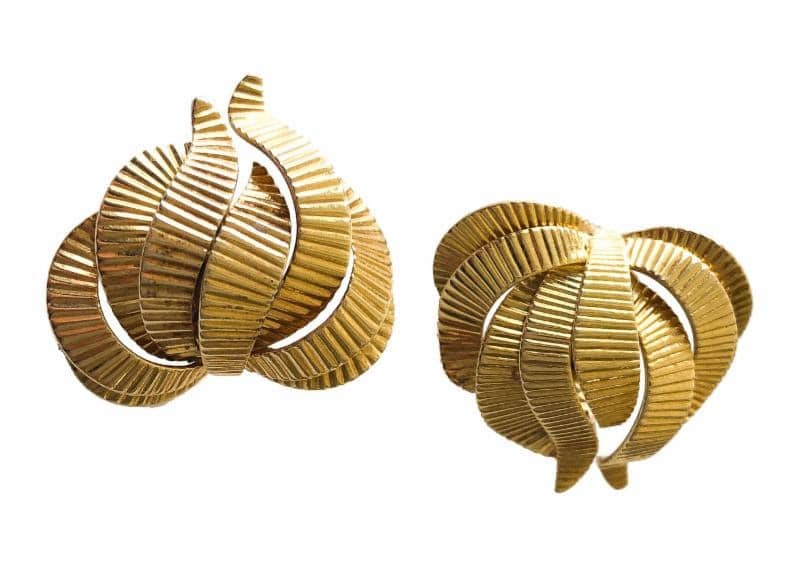 Cartier earclips with ribbed ribbons and abstract spray of 18k yellow gold. Signed Cartier with French assay marks. Ca. 1970s. Chic. Made in the 1960s by Bulgari, designed as two flowerheads, each centering on a cluster of circular-cut diamond to the petals with pave-set diamonds embellished with baguette diamonds and surrounding circular-cut diamonds. Total diamond weight is approx. 19 cts. Mounted in platinum and 18k white gold, signed BVLGARI with French hallmarks. 3.5×3.5 cm. With Bulgari box. 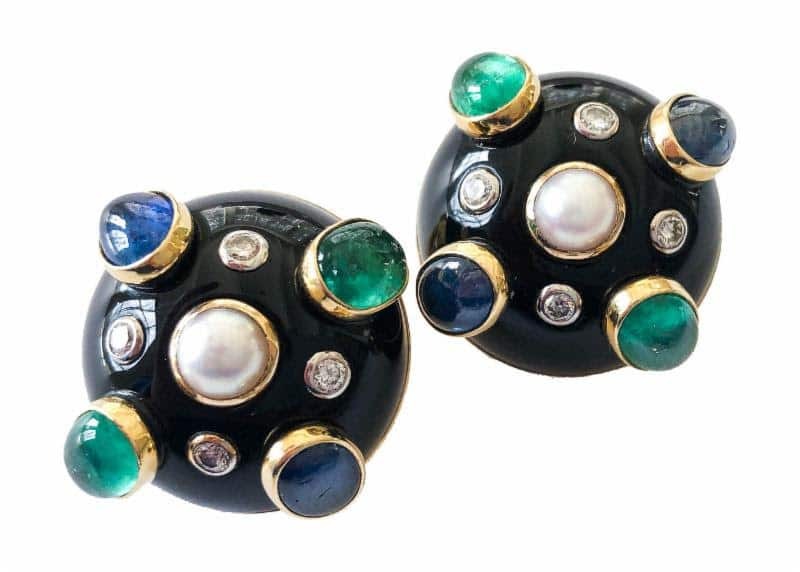 Black Jade bombe earrings set with cabochon sapphires, emeralds, half pearls and brilliant-cut diamonds, set in 18k yellow gold, signed Verdura, 5cm diameter. Retro chic. 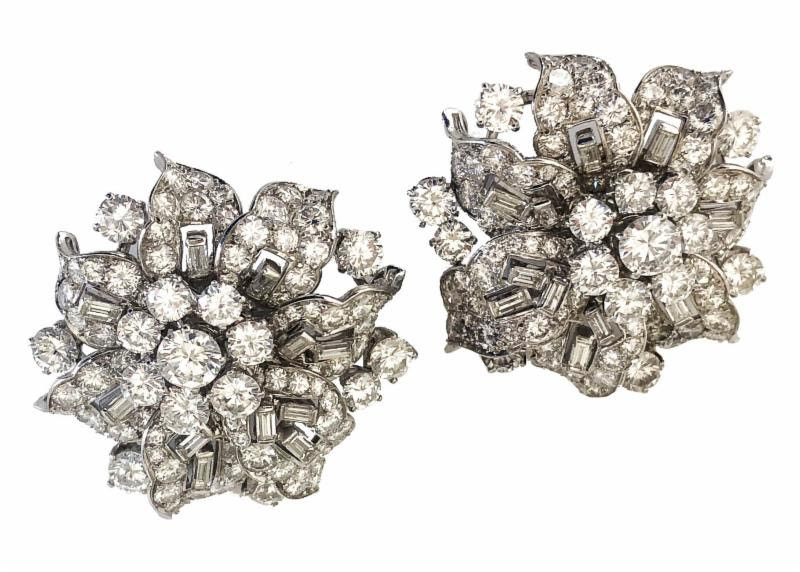 Platinum, cultured pearl and diamond earclips by Pierre Sterle Paris, ca. 1950s. 10mm. 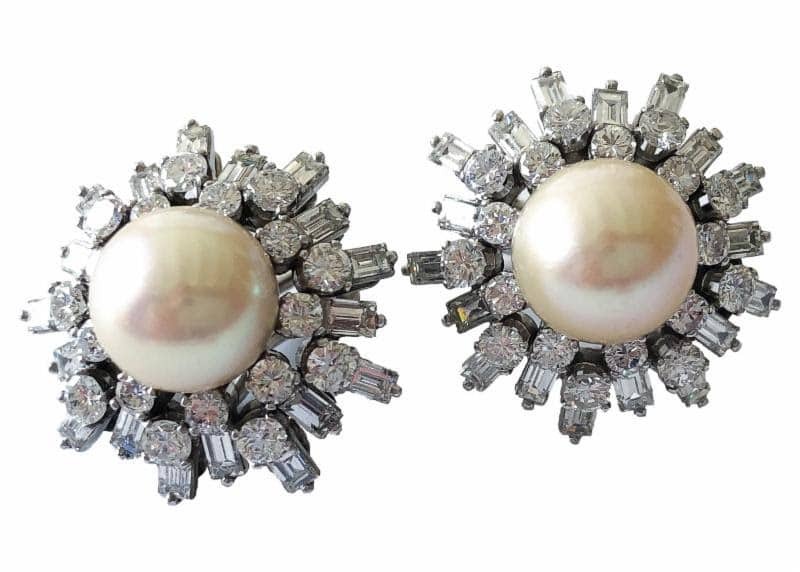 pearl centers in a surround of round-cut and baguette diamonds weighing approximately 6.5 cts. Mounted in white gold and platinum. Signed Sterle, Paris with maker’s mark and French assay marks. 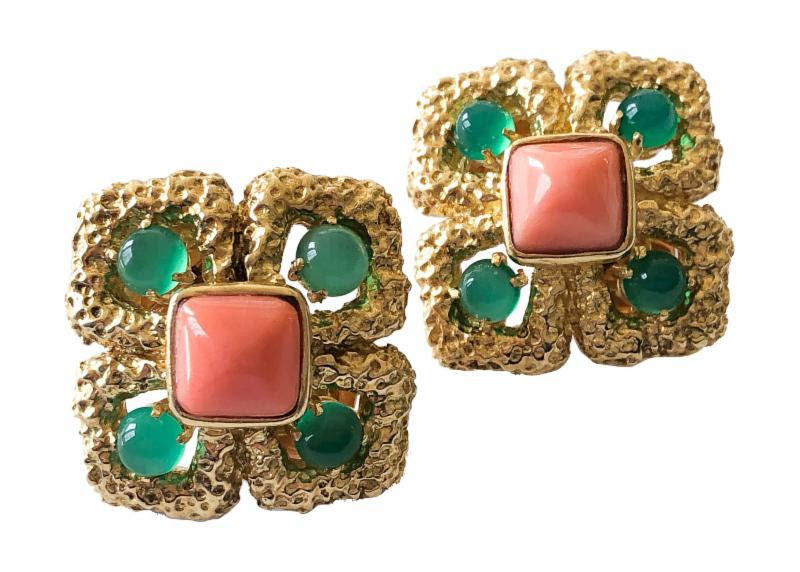 Iconic 1970’s chrysoprase and corallium rubrum “Delphe” style earrings signed Van Cleef and Arpels. Handsome VCA earrings set with round cabochon chrysoprase and sugarloaf cabochon corallium rubric mounted in textured 18k yellow gold. Signed Van Cleef and Arpels with French assay and maker’s marks.